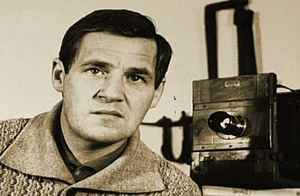 Born September 11, 1930 in Prague, died August 21, 1988 in Prague (former Czechoslovakia). Brother of Petr Kopta, father of Václav Kopta. Co-founder of Divadlo Na zábradlí (Theatre on the Balustrade) in 1958. Long-time lyricist for Ljuba Hermanová and Hana Hegerová.